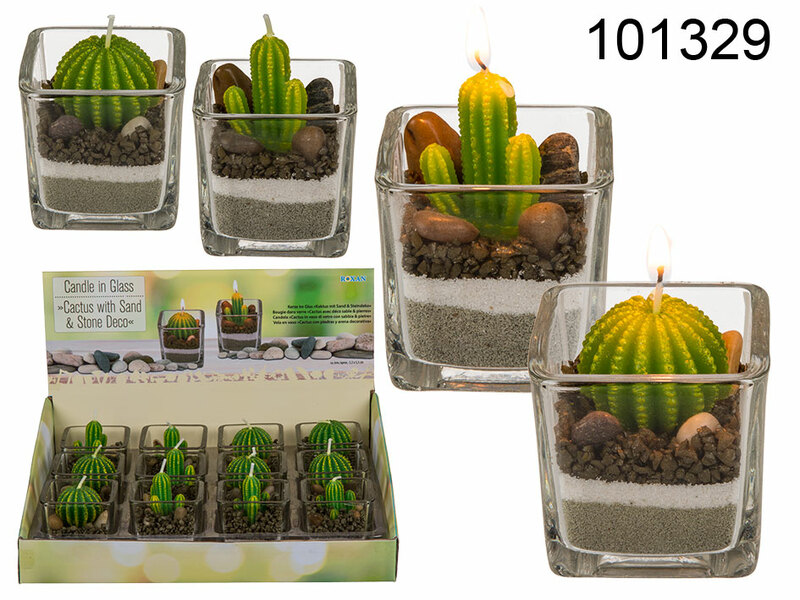 Lovely cactus-shaped decorative candle in glass candle holder. Candle burn time: 30 minutes. Sent as mix of designs.